1st Birthday photo cake, a photo by CAKE Amsterdam - Cakes by ZOBOT on Flickr. Photo cake made in the likeness of the design of 1st birthday invitation. 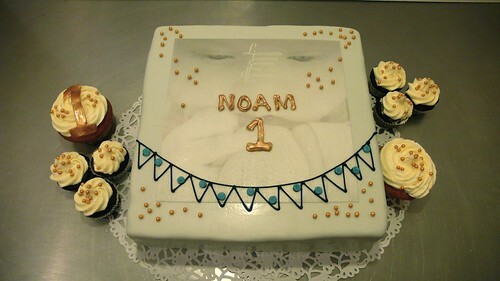 Noam's parents are GIMIMO - a custom baby card designing & printing business!